You are here: Home » News » The Batesville Store. Saying Good-Bye. The Batesville Store. Saying Good-Bye. 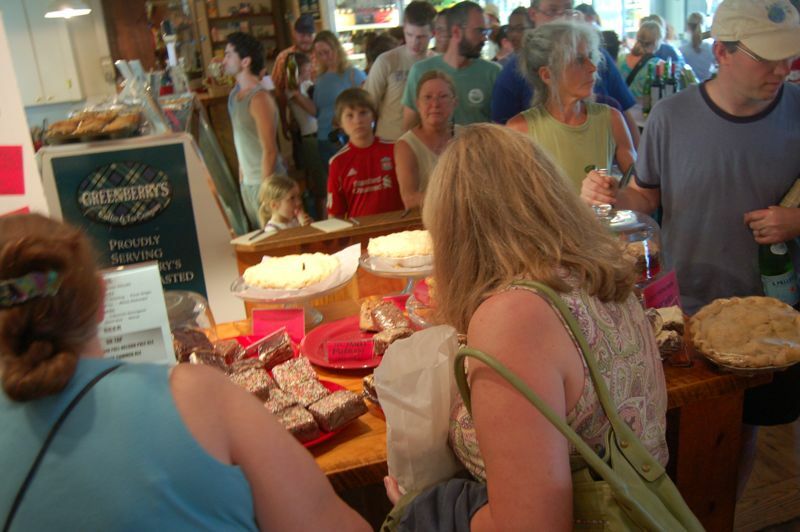 Photos By Yvette Stafford : ©2011 www.nelsoncountylife.com : It was standing room only Sunday afternoon at The Batesville Store. Most everything in the store was reduced for quick sale after the owners made the decision to close once inspectors from the state mandated improvements. As we first told you in our original post The Batesville Store is closing. Sunday afternoon people from everywhere dropped by to buy some of the remaining inventory, much of it marked half off. Cars line the street in Batesville this past Sunday afternoon during a going out of business sale. 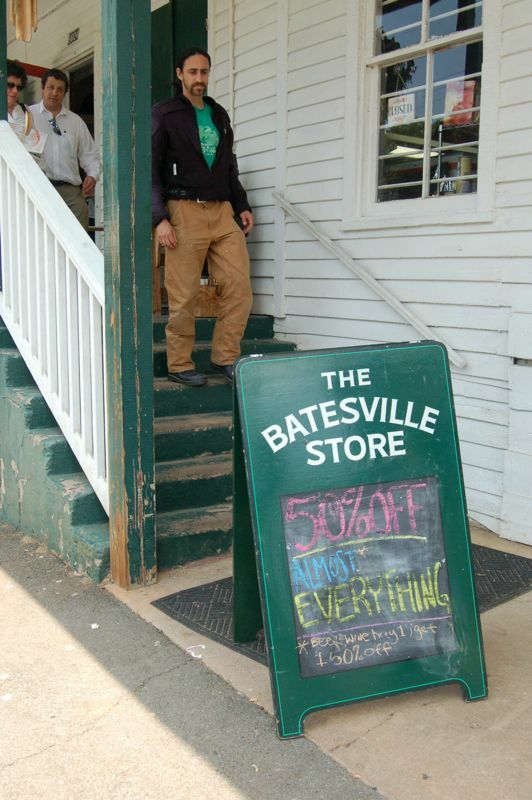 Around 1:30 Sunday afternoon a group supporting the efforts of The Batesville Store got together to show their thanks and hopes that something might be done to keep the historic store open. Customers and friends dropped by The Batesville Store Sunday afternoon to say so long. The inside of the store was literally packed with people wanting to make one last visit before the store's current owners close it for good. Good luck Cid and Liza! We will miss The Batesville Store in our community!